You can now print JAMB Original result slip that comes with your passport photograph on it. However, it’s not free, but you can do it yourself, making it cheaper. 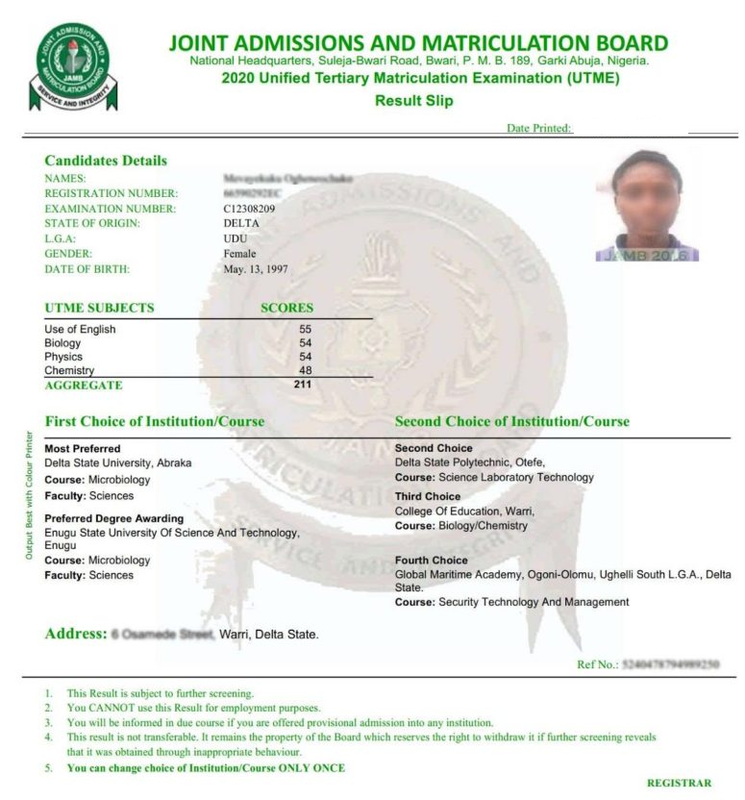 Here on this page, I will be showing you, how you can easily print the original Joint Admission and Matriculation board UTME result slip from your JAMB profile account. Using this medium, I would love to reach out to all the candidates that participated in the 2019/2020 Unified Tertiary Matriculation Examination (UTME), which was conducted by the Joint Admission and Matriculations Board (JAMB) that they can now print their original results slips online. Having the UTME JAMB Original result slip is a must have for all persons who have been offered admission through JAMB. The original jamb slip is what you will need to submit to your school’s admission board during admission screening. Although some cyber cafes, online portals are offering to do this service for you, you can actually do this yourself. However, you will be charged One thousand Naira (₦1,000) on JAMB portal to access and print out the original result slip. Here is a simple practical step on how you can achieve this yourself. 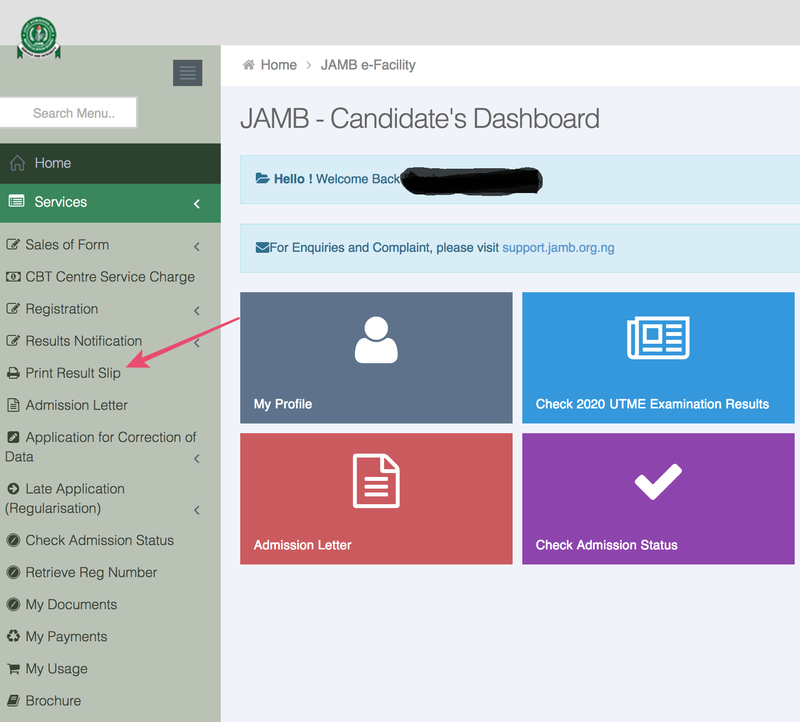 • You’re first required to login to your JAMB profile through http://www.jamb.org.ng/eFacility/Login. 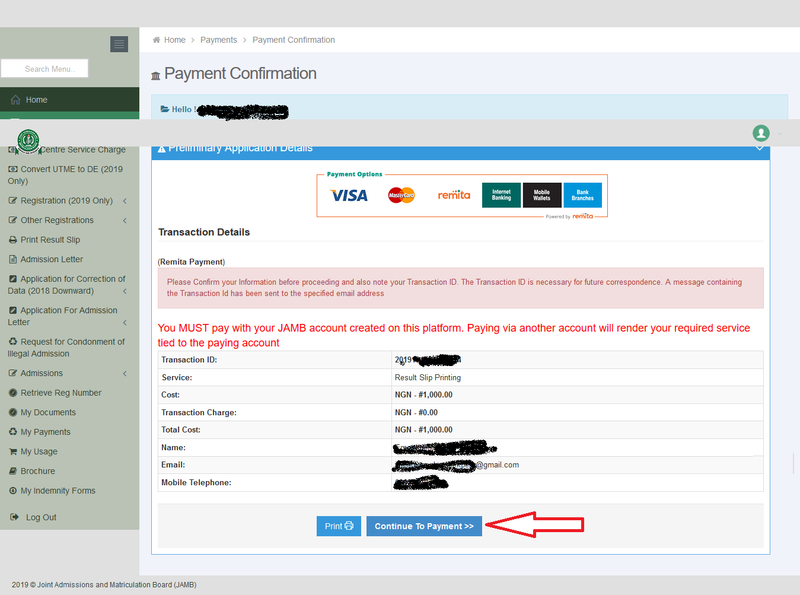 • When the “Print Result Slip” page loads up, proceed and click “continue with payment” to make payment via the Remita platform. Take note that you will be given two option of making the payment, there is the Remita Payment option and the Unified Payment. You need to fill in these details in their appropriate boxes. Personally, I would advise you to print out this result in a colored format. But the best-recommended option is sending this result to your email address, there, you will have unlimited access to print it anytime you want. In the List of Exam year, Year 2019 utme is not included as at this morning when i check, despite making payment via the Remitta. It has not started for 2019 yet.